I want to share how you can learn an easy 10-minute exercise, called Image Streaming. It can be the secret trigger that unlocks your highest levels of genius. Yes, I want to activate my secret genius trigger and experience a mega-jolt in brainpower! I can order The Einstein Factor today at a special discounted price and save $203 (limited time offer). Please send me Dr. 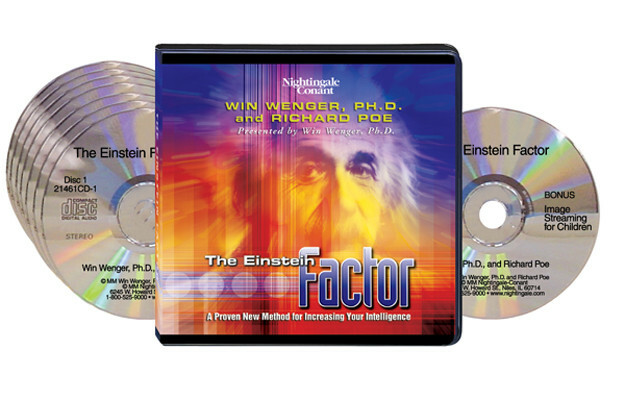 Win Wenger’s and Richard Poe’s bestselling 7-CD audio program The Einstein Factor plus Workbook on CD and Bonus CD for ONLY $66.95 — 75% OFF the everyday retail price! Take advantage of this limited-time special discount now!